Most people know I have a fairly extensive G1 collection, but there are a few bits conspicuous by their absence, Pretenders for one. I’m quick to say I have a near complete Euro / US collection, but way back when my goal was simply to collect 84-86. I completed that set a while ago, but along the way there was one set that got away. That set was the mail-away Powerdasher set. 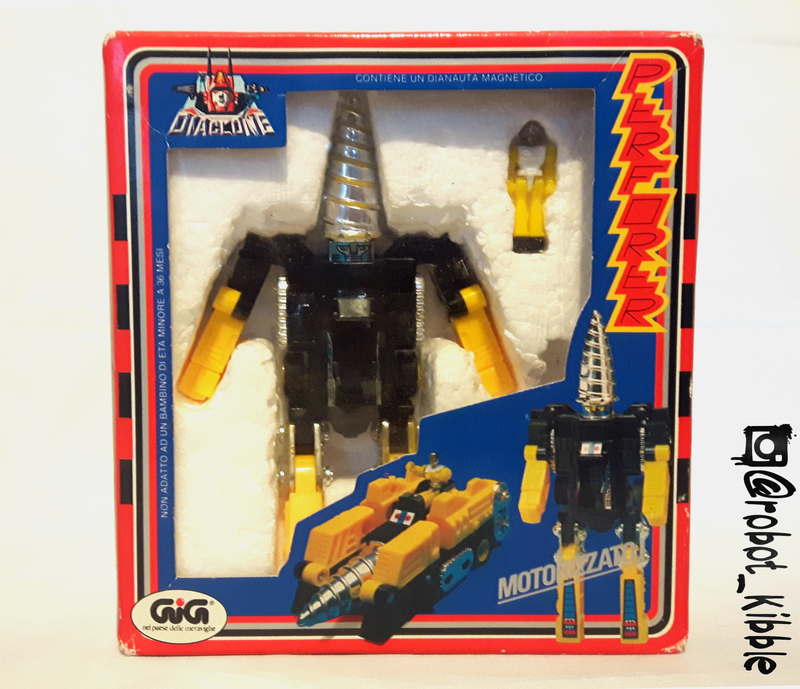 Released as part of the Transformers line in 1984, they were only available via mail-order for $3 and two robot points, with the catch being you didn’t know which one of the three you were getting. As well as transforming, the big gimmick with these was a pull back and go motor. So after putting off buying this set for decades, I recently purchased a very nice Italian Diaclone set, as distributed by Gig. But why did I put off buying these for so long? Was it because of price, condition, or rarity? Read on and find out. These are fairly simple figures, as you can see. 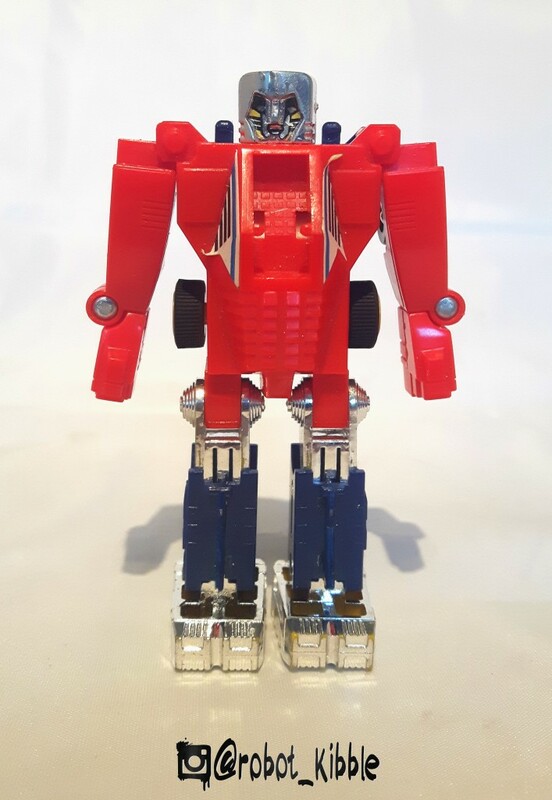 The robot mode for F1 Dasher is Optimus Prime coloured, but that is where the similarities end. His massive “spoiler” becomes the legs and feet for the robot, and the front of the car folds down to make the arms / hands. 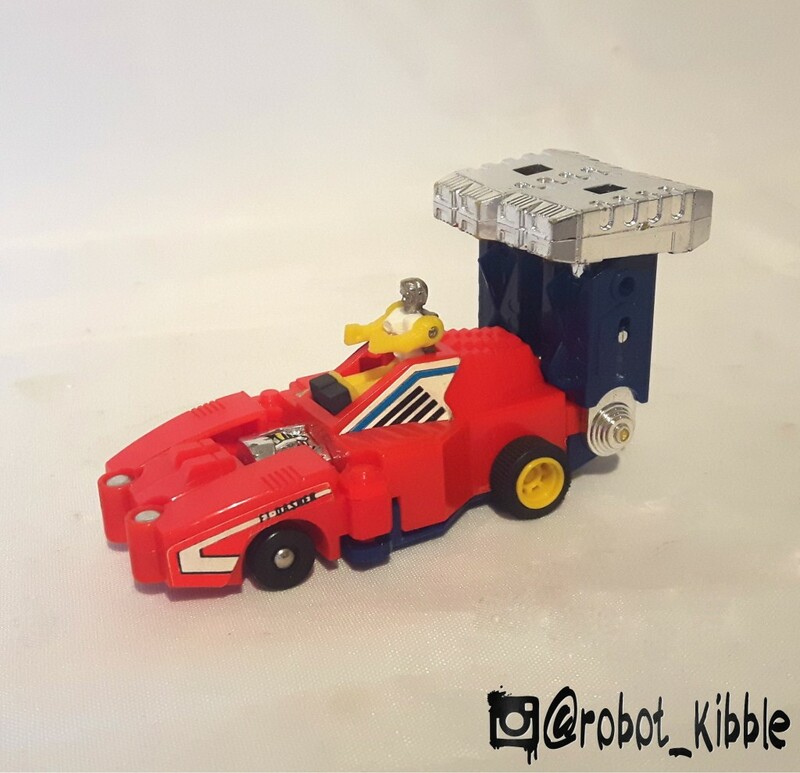 The vehicle mode is slightly more interesting in that there is room for a Diaclone driver (included! ), and the toy features a pull back and go motor that has survived all these years. You might note in the example pictured above, the robot head is clearly visible in alt. mode, it is supposed to rotate and hide away, but thirty years in packaging has left the head a tad stiff, and I didn’t want to risk breaking it for this shot. Edit: The head doesn’t rotate, which would explain why it wouldn’t move. Don’t try that at home kids! 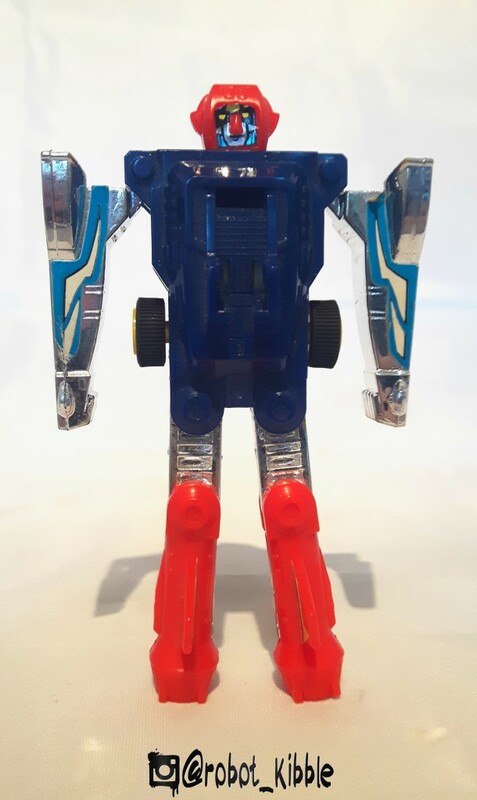 It might be of note to some that the Transformers release has black legs instead of blue, and you might have seen yellow headed “variants” too, but that’s just chrome wear. 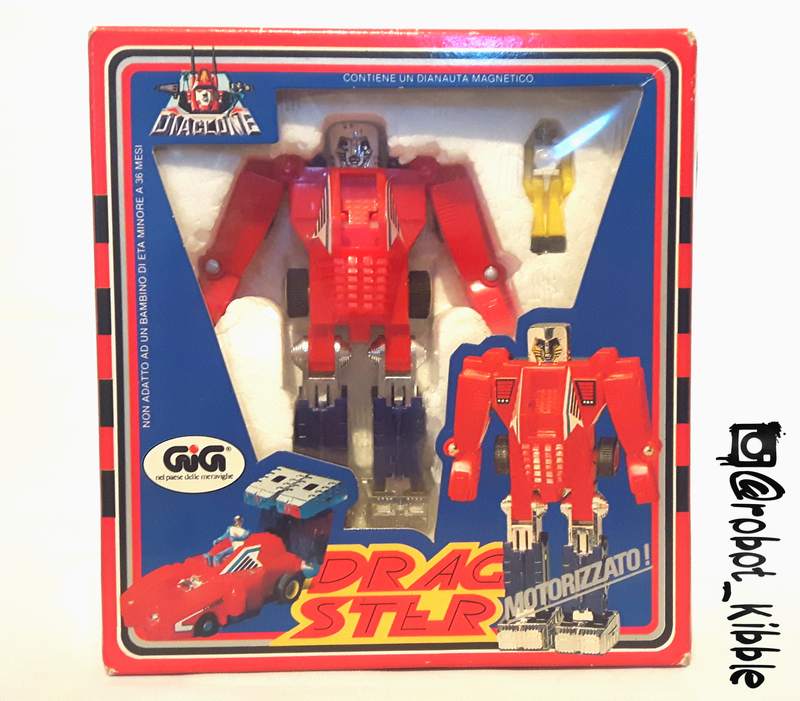 Note that the original Diaclone names are included on stickers on all three toys. Another pretty basic figure. A lot of this guy looks backwards, especially the feet (see trio photo below), and I still think it’s an odd choice in this range to keep the cockpits prominent in robot mode and alt. mode, when they could have detailed the underside. I’m not sure if they did this because the underside had to remain flat for alt. mode, but a few stickers could have pepped it up. Transformation is insanely simple, to the point that the Gig release don’t include instruction sheets, just two pictures on the side explaining it. Actually, the entire packaging is simple, the front of the box is just a shell that covers the polystyrene inner, no rear packaging so to speak. They come with a sticker sheet, a tiny and very folded Diaclone catalogue, and a very small character card. The alt. mode for this guy is cute, who doesn’t love a Drillformer? It;s a shame the legs cover the awesome Drill Dasher side stickers. The colour scheme is very nice. 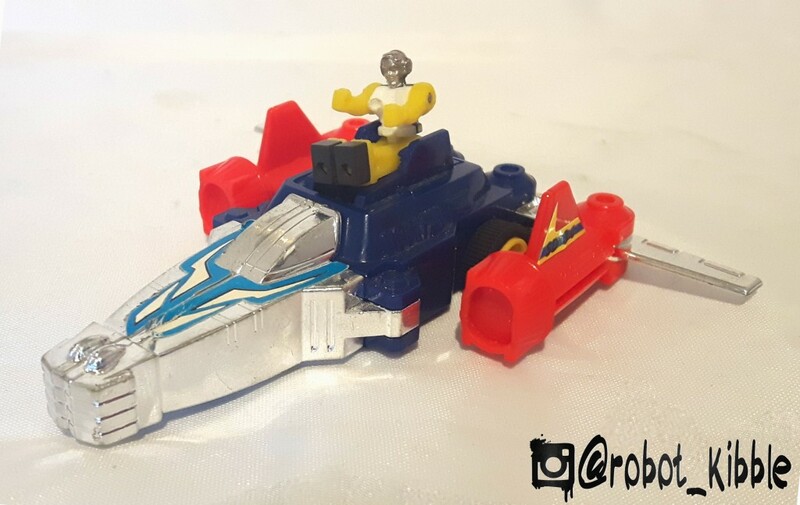 Overall, this is my favourite of the trio, especially with the colour-matched Diaclone driver sat on top. An inversion of the colours on the F1 type, these bright primary colours aren’t enough to help this very basic robot mode. Note the stickers for a face that all three of these guys had, something that wasn’t seen on another Transformer other than the much derided G1 Ratchet / Ironhide (we’ll come back to that in a minute). 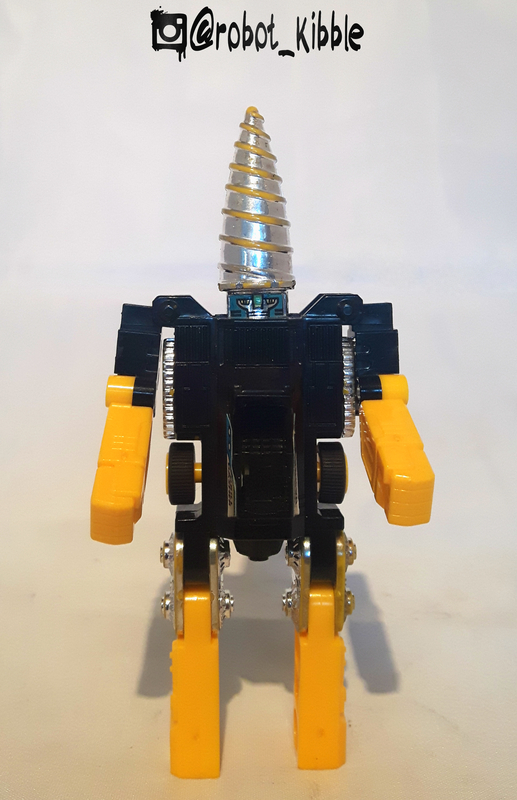 The transformation is very similar to the F1 type, with the arms swinging over the head and the legs swinging around, this time to the side not over the figure, the wings are cleverly hidden inside the legs and act as the thigh joint for the legs in the process. Ironically the most dangerous to pilot vehicle has the least convincing cockpit for the driver. It’s a fun enough vehicle, as a kid I can imagine punching things as I fly the vehicle into them. Which might explain the chrome wear a lot of these figures suffer. As with the F1 type, the Transformers release has a black chest section rather than blue. So why didn’t I buy them before? Well, because of the complete lack of personality or media support growing up, I had no affinity with these characters, it’s also quite hard to find them in the UK for a decent price. Even if you CAN find them in the UK, the chrome is usually damaged. I mean, badly damaged. 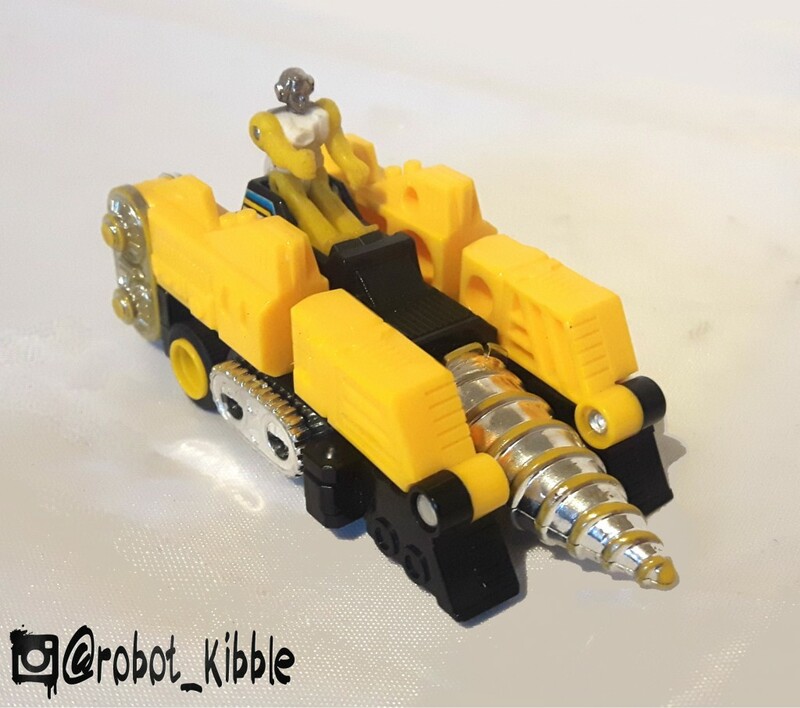 Like the Drill type has a yellow drill for a head, not a chrome one damaged. But that isn’t why I didn’t buy them. I continually skipped these for years, because I think they are BAD TRANSFORMERS, and I stand by that. Even a “completest” has limits (I’m not a completest, and I think it’s unhealthy to try). But that’s not to say these are bad toys. 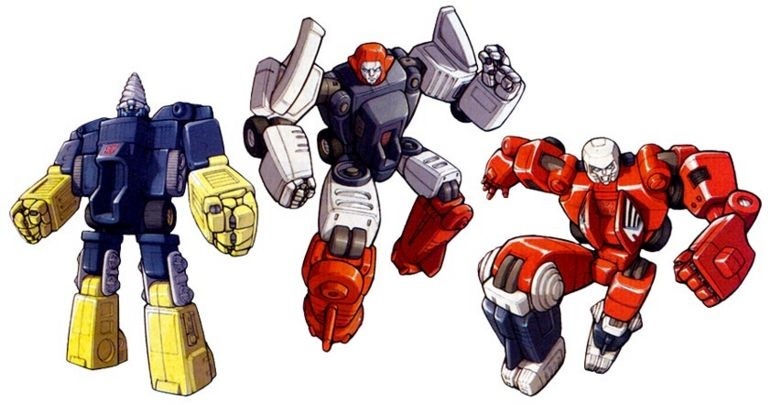 It’s a similar thing to G1 Ratchet and Ironhide, I think they are amazing toys for their time, but they are lousy Transformers and crap renditions of Ironhide and Ratchet if you know them from the cartoon or comic. 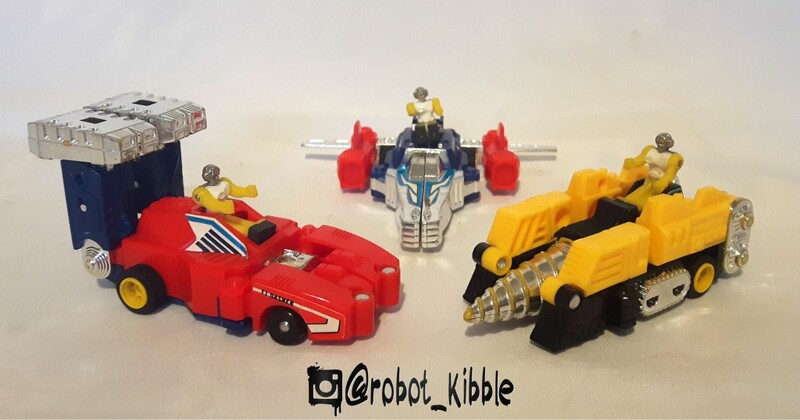 Like these Diaclone Dashers, they are also at their best when they are interacting with little Diaclone drivers as part of inhabited world in a completely separate toyline divorced from Transformers. At least the Cherry Vannettes had the advantage of blending into the world thanks to the real-world alt. 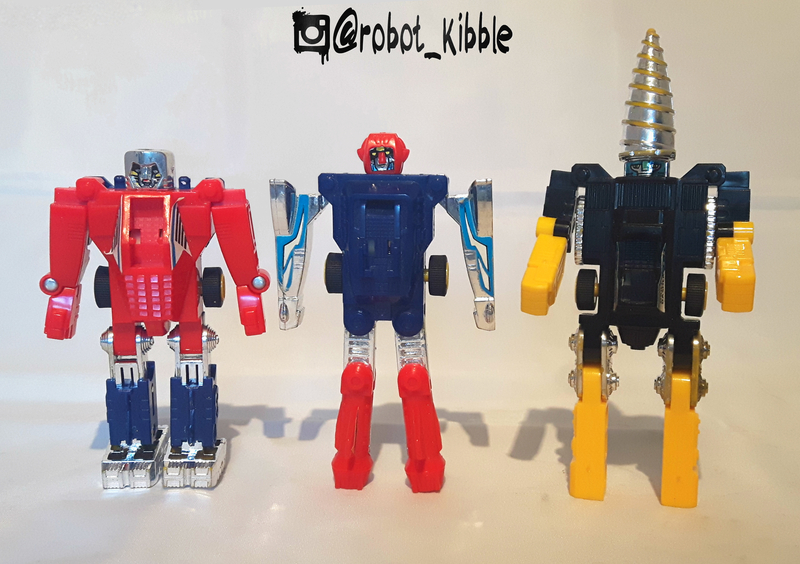 modes, which made them fit right alongside Sunstreaker and Trailbreaker, but these guys are an odd fit, as they don’t really look like anything, Earthmode or Cybertronian, and as such seem slightly out of place in both Diakron and Transformers. I don’t want or need these for my Transformers shelf, as I don’t believe that sticking an Autobot logo on something is enough to bring a toy into that world. Indeed, it took the combined efforts of Hasbro, Marvel and Sunbow to make the Takara toyline an intellectual property and brand to be reckoned with, but along the way the first humble mail-away offer, the Power-Dashers, never really found a place into the heart and soul of the line, which is why thirty years on we’ve had no homages of these characters – official or otherwise – not even as Mini-cons. Which is why I’ve finally found a place for these in my burgeoning Diaclone collection after decades of Transformers collecting. But it just shows that everything has a place, and even the oddest of toys can find a spot in a collection, when put into the proper context. 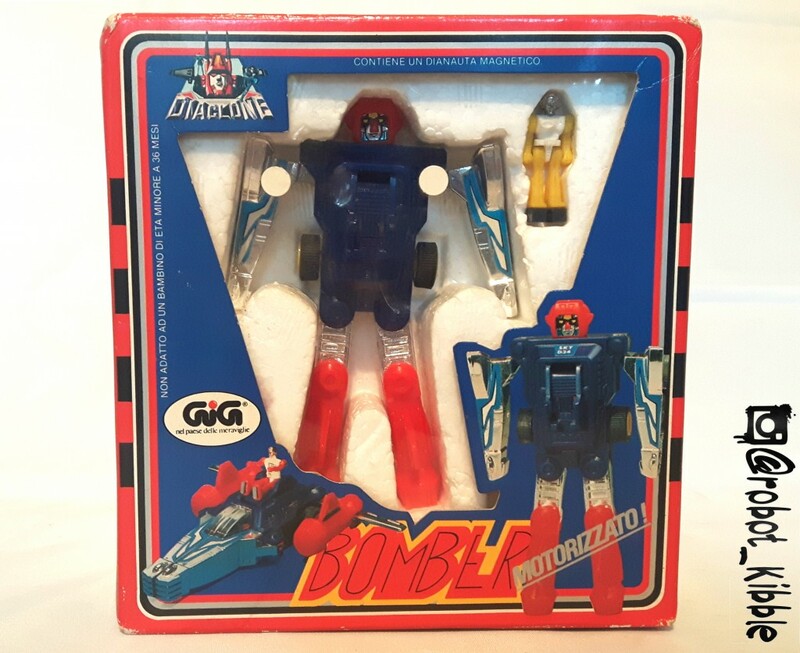 For me – in this case – it meant looking at toys I’d ignored for years in a different light, and I’m very glad I did. Thanks for reading, be sure to check out the Kapow site for all the latest toys and pre-orders.